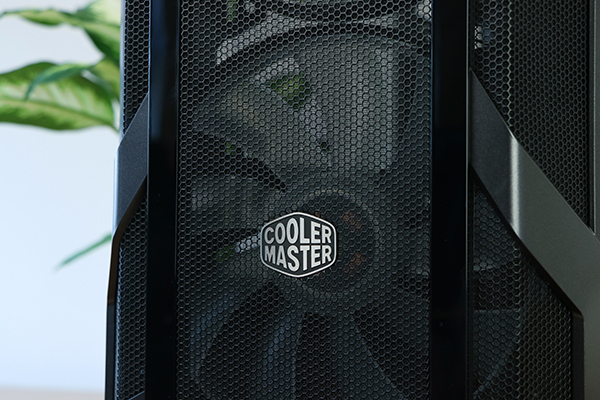 Cooler Master, the once seemingly uninhabitable cabinet builder whose last generations seemed a bit searching. Let’s not ignore it: I have seen a lot of nice housings, but I did not see the real ‘win’ as often as we had hoped. 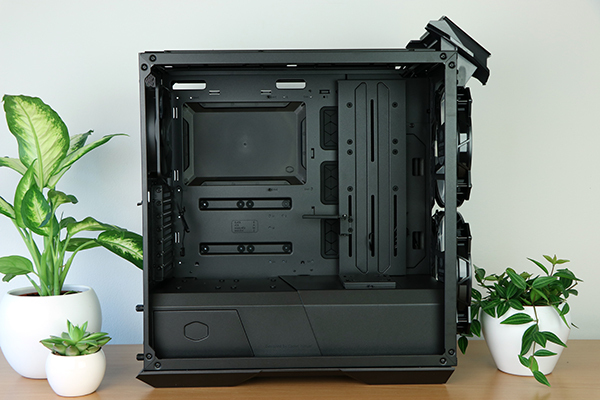 The MasterCase 5t then pops up in thought, but everything beyond the 200 euro is nevertheless tough, especially considering the many solid options in that segment. 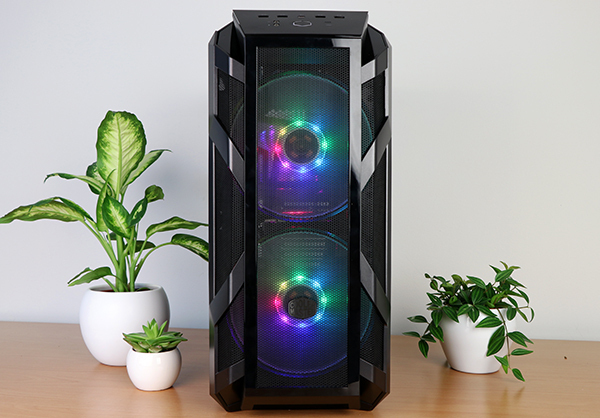 I saw the charm of the H500P in: RGB, striking design, and despite the cooling performance was frequently laughed at, I keep in mind that if I can keep a Vega 64 system cool and silent, you should not be bleating too much. 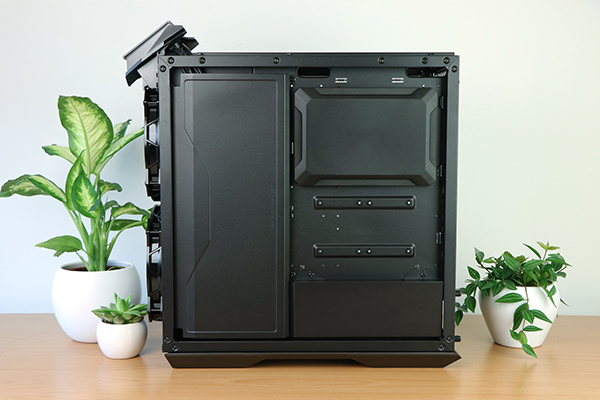 The H500P was also not undivided success, because the plastic elements also left something to be desired. 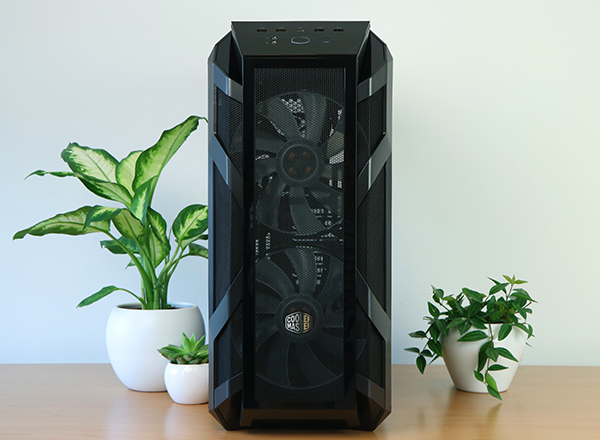 They went back to the drawing board, and then arrived with a H500 Mesh White (that review also comes up). Fun, better, but still surrounded by so many excellent cases that the wait for the big success was not completely done. 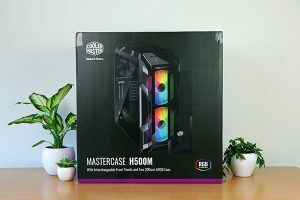 What I did not know at the time is that Cooler Master is now much further with an even thicker H500 variant, the H500M that I am going to watch today. Road plastic, or glass on four sides. Bye bye RGB, hi addressable RGB with built-in controller, and what “two USB ports is enough” front panel with 4x USB 3.0 and Type-C USB. 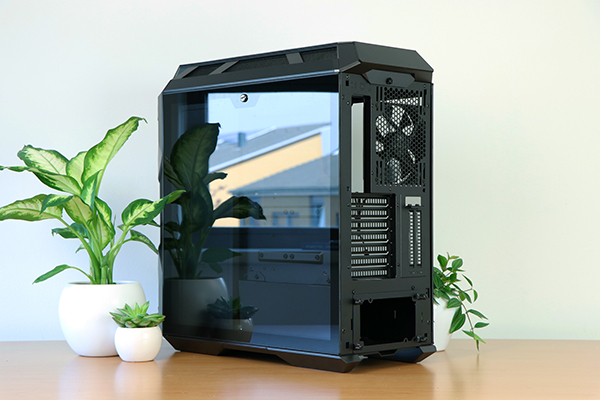 Wait, glass at the back shows ugly cables? 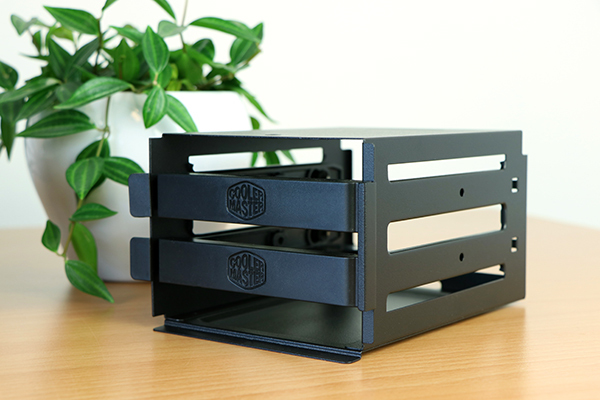 Hop, an even better cable management system. In short, when I saw the first details I was silent for a moment. And today I can talk extensively about my experiences with the case that arrived here recently. Price tag? The MSPR is 199 euros, which you will probably pay for in the coming period. 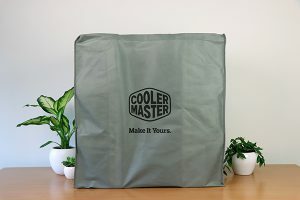 Knowing Cooler Master, I expect that it will fall a bit in the coming months, especially if the product proves to be successful. Box, neat, sturdy, with the case in a big bag. Have I seen them more often, great idea. First impressions: DAMN. On the one hand recognizable as an H-series successor, but in every respect from the first moment much more impressive. 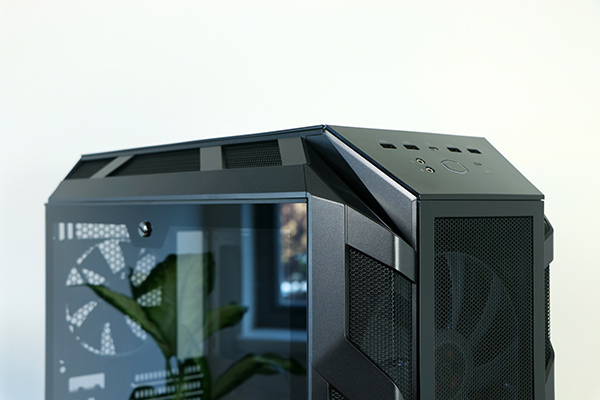 Thick glass, plastic elements neatly finished, mesh in front (note: I built to glass) neatly finished, and the somewhat darker color of the H500M really appeals to us. 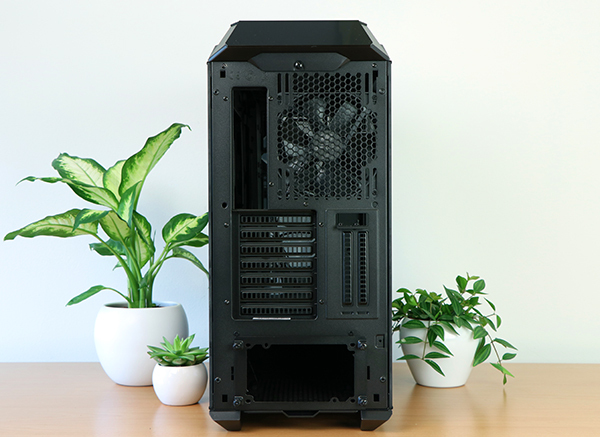 The “Less is more” concept, which turned out to be popular in recent years, leaves Cooler Master clearly to the left, this is still a case for people for whom it may be a little extra. 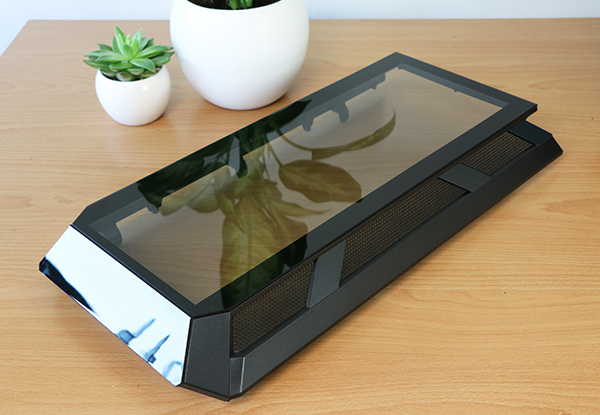 Finishing of the excellent I / O panel with four USB 3.0, USB Type-C, audio and the RGB LED controller button is also excellent, and the plastic on the top of the previous H500 has been replaced by glass. That makes us happy. Bottom: large legs, filter on the PSU, and a small filter in the front which prevents any collection at the bottom. In the back: there’s not a lot of attention there. 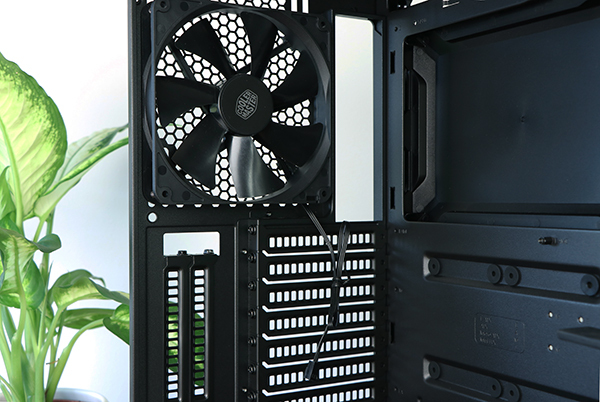 Adjustable fan, possibility of vertical GPU which is starting to become quite common, further ‘just’ ATX. And then the other side, here too tight glass. Lightly tinted which is normally a dragon with cable management, but they have thought about that. 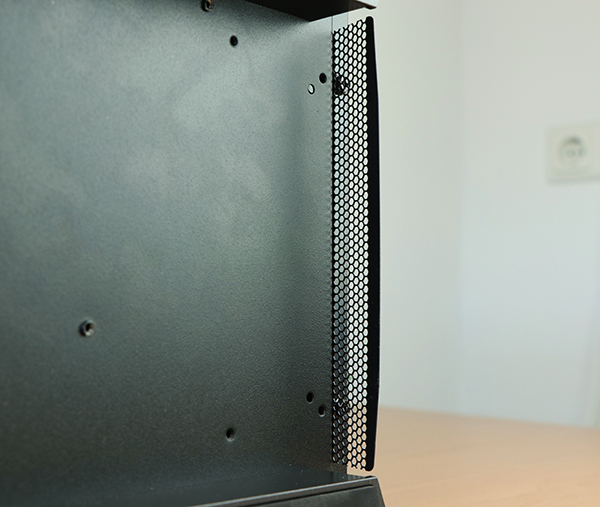 Nice contrast compared to most steel side panels in each case. 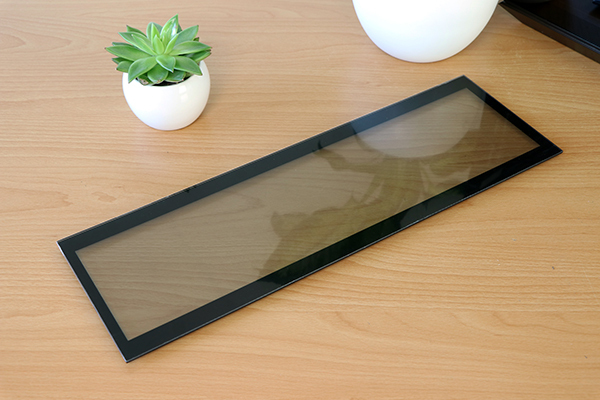 The closing mechanism of both windows also appeals to us. Quarter turn with the screwdriver so that the panel falls a little bit open, and then you pull it out of the frame. Practical, safe, attractive. 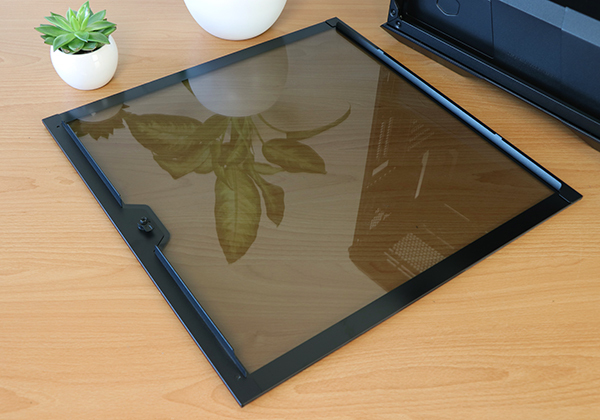 Slightly tinted glass is usually a good choice, looks a bit tidier than completely clear glass, hides the most ‘ugly’ elements, but gives you enough to show with a little relief. 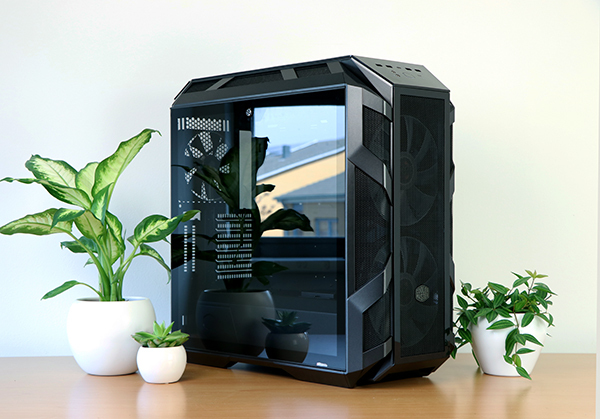 The front panel is just right. Plastic of course more flex than steel, but this design can not (affordable) in whole steel; no downside in any case. 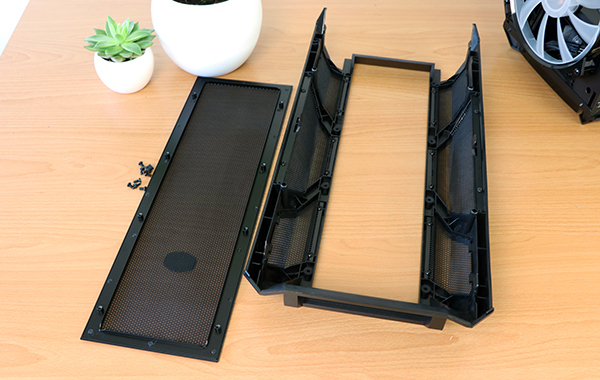 Plus: you can unscrew the mesh part and screw the included glass front panel on if you want. That choice is just a very nice plus. 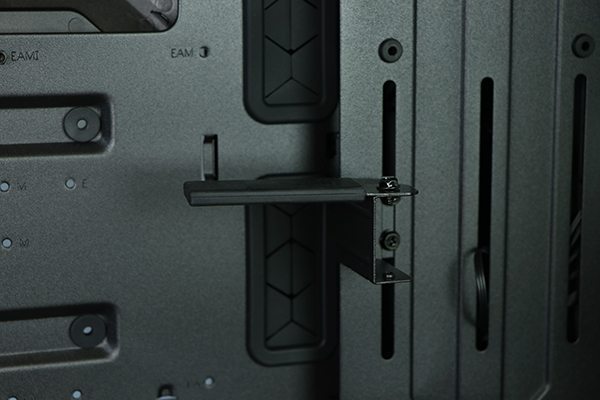 Again the top panel, which only comes off after you release one thumbscrew: fine. 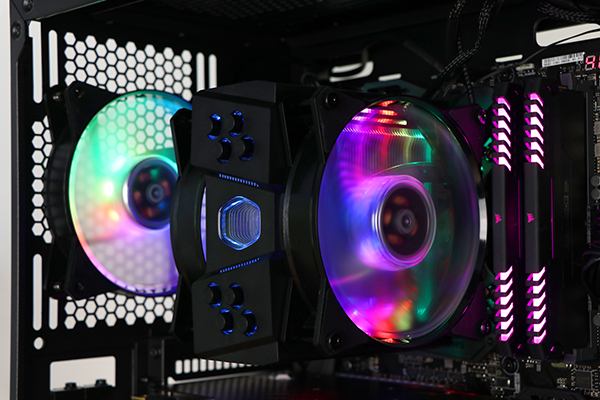 And so remains the frame where the two gigantic 200mm addressable RGB fans. Internal: hey, that’s pretty tight! 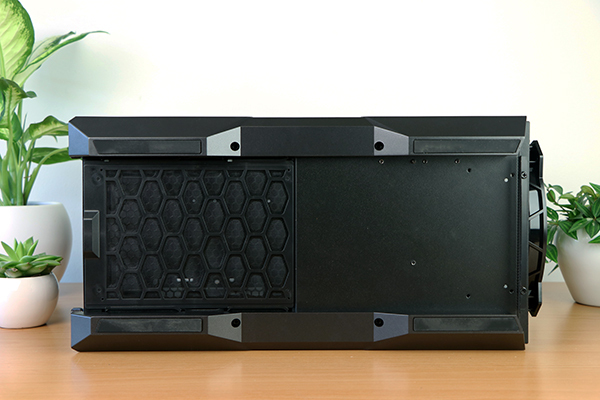 PSU cover with a removable cover for long radiators, a supplied universal pump bracket for custom water cooling, two 2.5 “installation options on that cover, and the right side which is often pretty ugly is tightly finished here. I also saw the GPU holder from the 5t make his return. 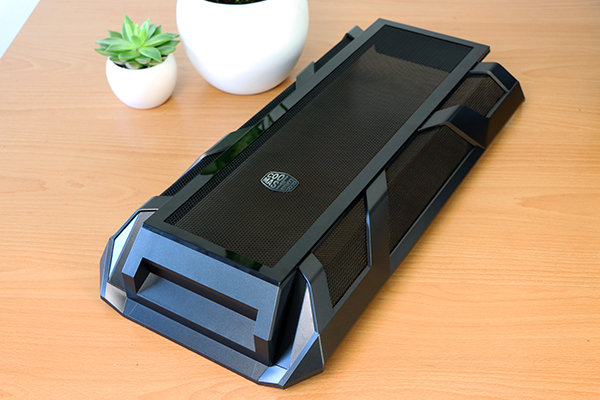 Chassis quality of this Cooler Master is also excellent, no criticism there. Well, a little bit of criticism, because in the back is just a black fan. That should have been an addressable RGB unit. 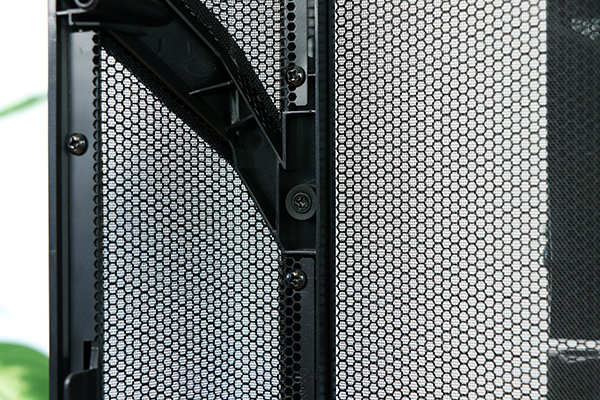 Hard disks can be accessed from both sides, and kudos for a solid slide construction in which the disks are also muted. On the back then: noice! Almost complete finishing where you can only hang some SSDs in sight if you want. Below the bottom cover I found the RGB controller. 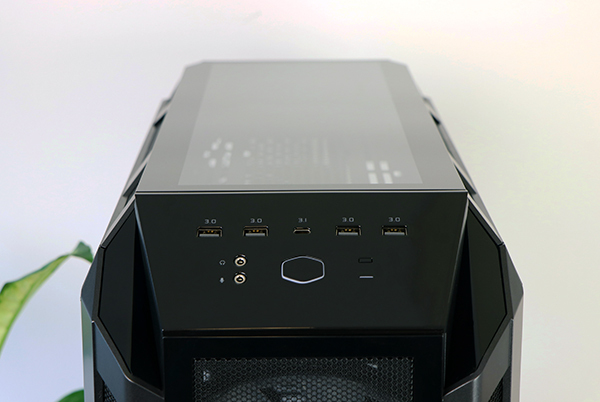 It has two RGB channels, but the front fans are on a splitter plus you get an extra splitter for two headers. I then split it up again for five fans, so an extra strip can probably also be used, but I are not sure at what point a possible split-exercise will stop. And this is of course the addressable RGB party. With the controller you can display numerous color effects, besides the standard RGB-everything option I see a handful of different effects, from modest to epilepsy options, plus the option to adjust just one color is also missing. 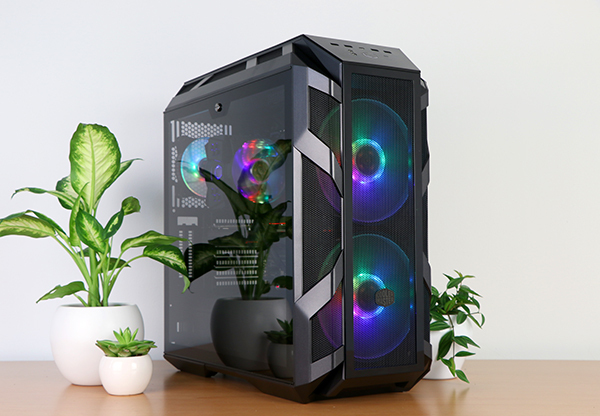 Even more effects or programmable effects could be an improvement point for the future, but for the time being you will not lack opportunities and the fact that both the three case fans and coolers do their effects in sync is of course just a plus. 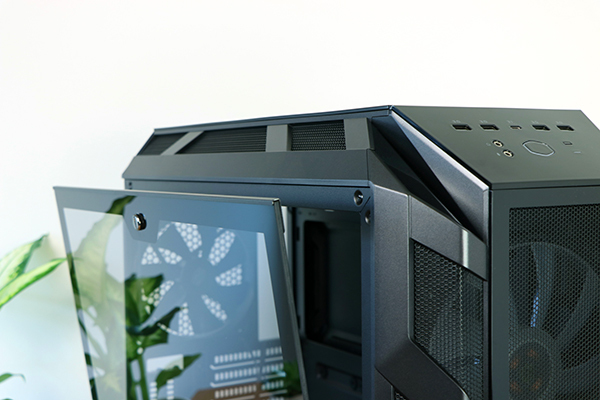 Small credit for the MA410M and the internal RGB effect, though these are points for the CM ecosystem and not specifically the H500M. 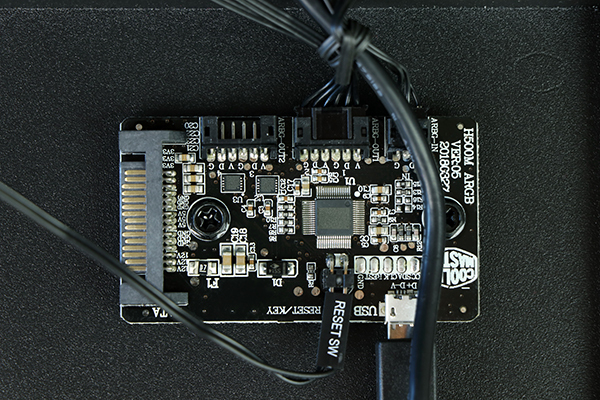 If you want you can bypass the RGB controller and let the motherboard take control, but I prefer to wait for more addressable RGB effects in motherboards; For the time being, I prefer the included hardware controller. Points for visuals? For me. Not to see pictures, but especially the flexibility of the effects and color transitions I sincerely welcome. In my eyes, Cooler Master was looking for a bit of that convincing win. Not only a convincing “Yes, this is em!” Case, but also one that would wake up the competition again. 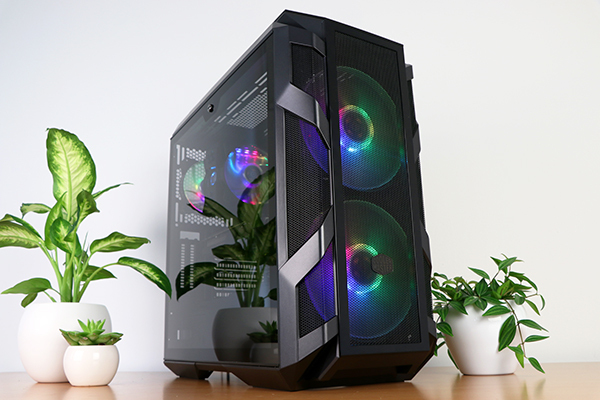 Enough people will have experienced that first emotion with, among other things, the Cosmos C700P, the H500P or the MasterCase 5, but the latter is always a bit of a hit. 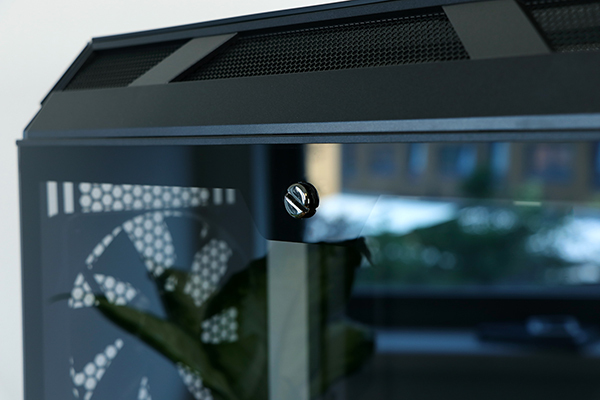 The new H500M does, however, and full of conviction: excellent quality inside and outside, incredibly greasy addressable RGB action, glass on all sides – and that still in such a way that every side looks genuinely excellent, and then without any substantive comments that may slightly affect the party in any way. 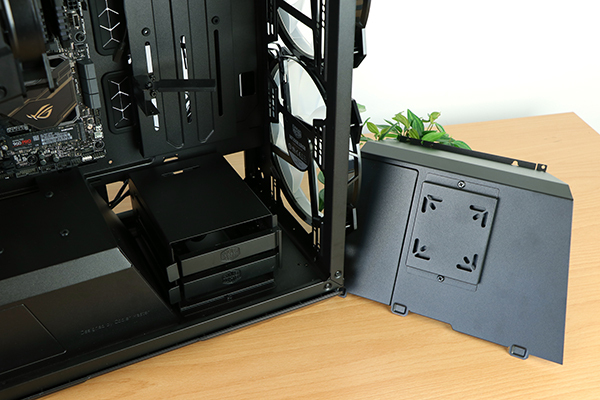 The freedom to use the included RGB controller or to have the motherboard control the whole is also a plus. There is always something better. 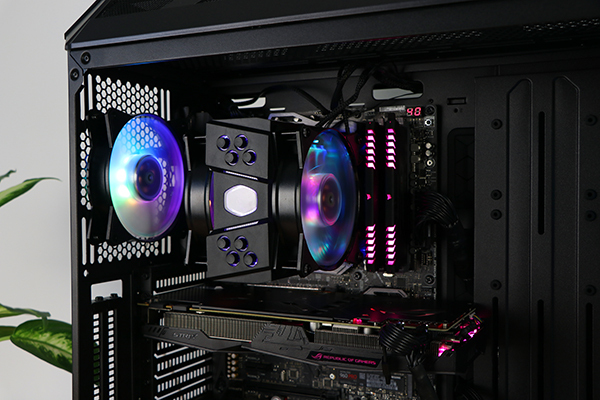 So that fan in the back standard should have just been an addressable RGB unit, come on Cooler Master. Or had a LED strip attached for just a little extra action. 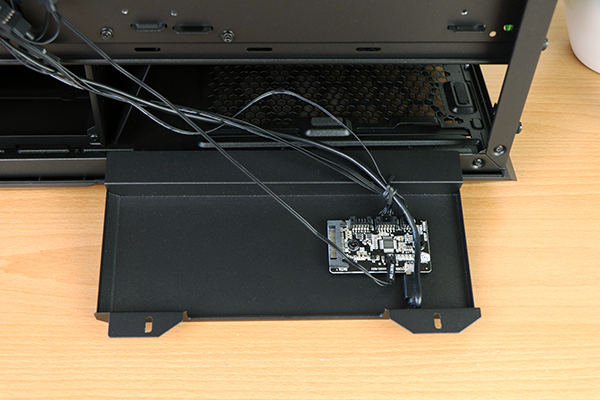 I also find that for this amount and given the choice for 200mm fans a built-in fan controller could have made the I / O party really complete; that is more chic and prevents time spent on pwm fan profile tweaks. I also note that the holder for the GPU does not come into its own on all GPUs, and you should occasionally change the I / O part with a cloth of fingerprints. Glass on the other hand is easy to keep clean, and is also more beautiful in the long term. 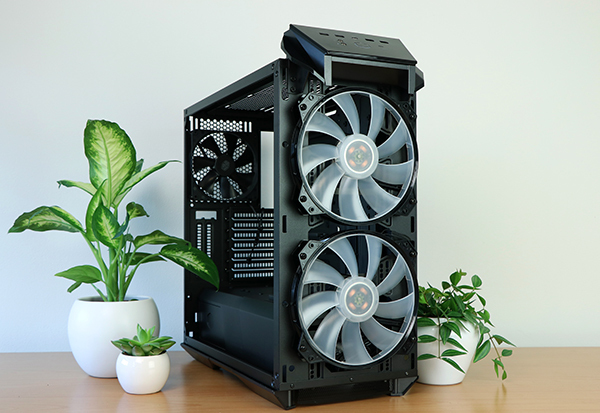 But those are only small points on a more damned impressive case, although I have to say that Cooler Master can also boost their available RGB fans in a qualitative way, because they are not yet at the level of this H500M. 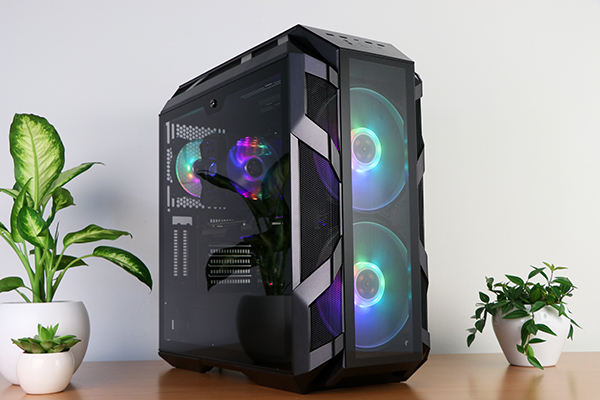 Compliments, however, for the many things that have clearly improved after feedback on the H500P and the C700P, for example that the covers on the back are now much more practical, the fact that I no longer see moving stickers on the fans, and the more sunken fans also cool a lot better when the front is equipped with the glass part; the whole experience is of a considerably higher level. 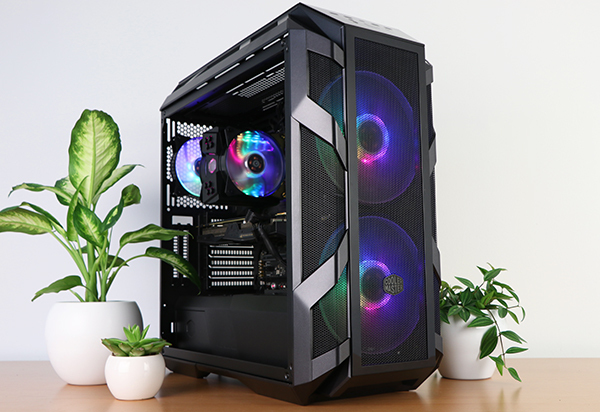 Naturally, the question remains whether you also like this, because Cooler Master goes all out as far as eye-catching visuals are concerned and for those who love modest and subdued this will not be him. So often I come to conclusions in a “if you like this, then you can really make something beautiful”, and that is just the case for numerous housings. The downside is that you usually have to take something for granted, but this is just excellent and really, really cool. Do you like glass? 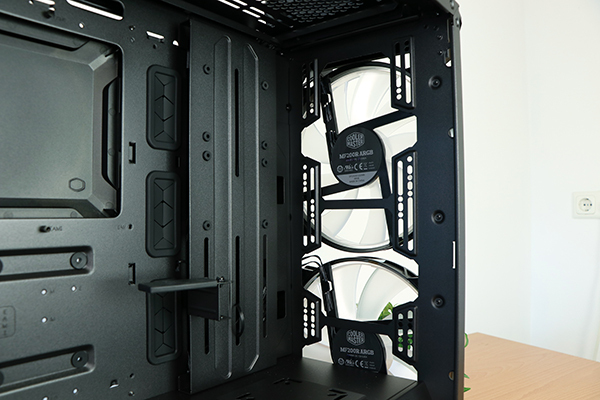 Cooler Master gives a lesson here how you can have glass on four sides, while each side looks reticulated. 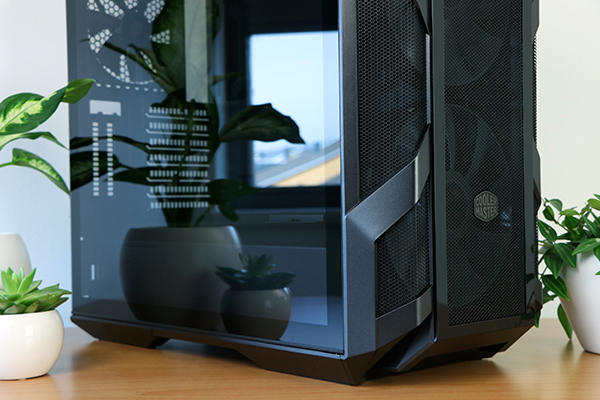 Do you like more cooling? Pop that mesh first, the performance barely below for a completely open front. 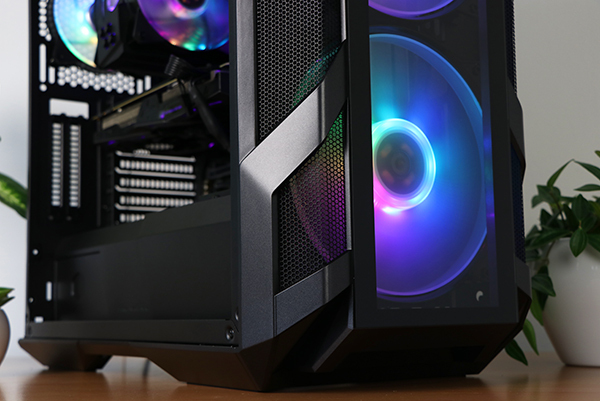 Are you crazy about RGB? 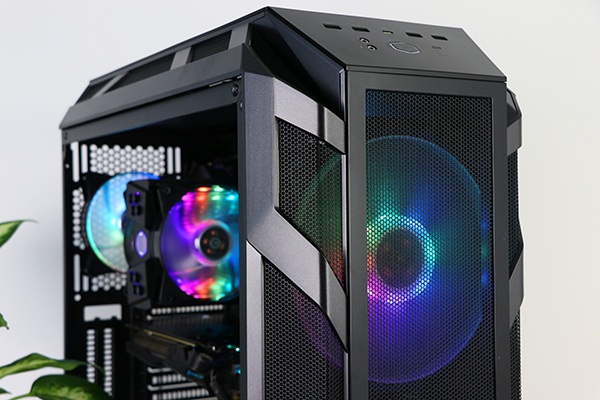 What better than a mountain of addressable RGB action in your system. 199 euros is not a small amount, but for a little addressable RGB with controller, you quickly lose ten euros worth of accessories. 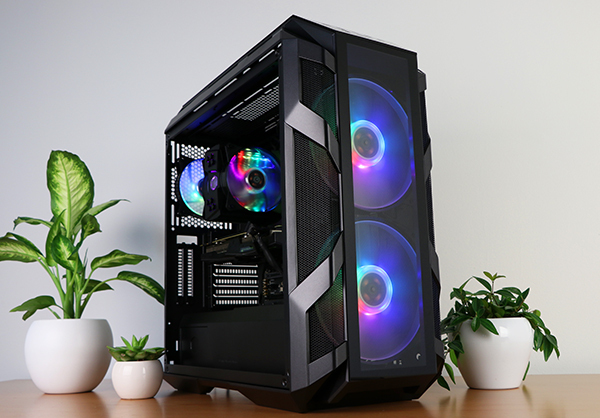 And with the knowledge that the price will drop a little further in the near future, Cooler Master has finally regained its real win as far as I am concerned, and the difficult to earn Editor’s Choice award is definitely in place. 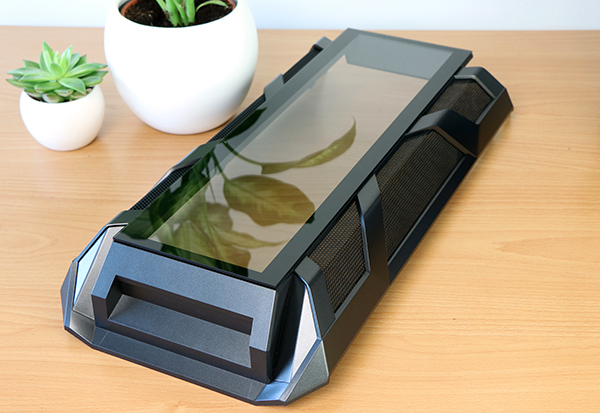 Small points of improvement, but no real concessions with regard to this case itself, and a damn great result that may appear on top of the wish list for glass and RGB fetishists.